Speaking of defensive-line depth, this unit is obviously not only stacked on the front line, but from a reserve standpoint as well. How would you rank our second team (Dante Fowler Jr., Taven Bryan, Abry Jones and Dawuane Smoot) amongst the league’s other starting units? I have a feeling our second-team defensive line is probably better than a good number of teams’ starters. The Jaguars’ second-team defensive line isn’t clearly better than a lot of other teams’ starting line, primarily because two of the players on the unit – Smoot and Bryan – haven’t done enough yet to prove beyond doubt they’re high-level NFL players. But the important part of your point is correct – this is a deep defensive line that appears well-equipped to truly rotate eight, nine or 10 players and play at a high level. And if Smoot and Bryan show this season they’re as good consistently as they have looked at times, then … yes, the Jaguars’ four backups could be better than a lot of starting groups. The line overall has a chance to be a special bunch. Really special. 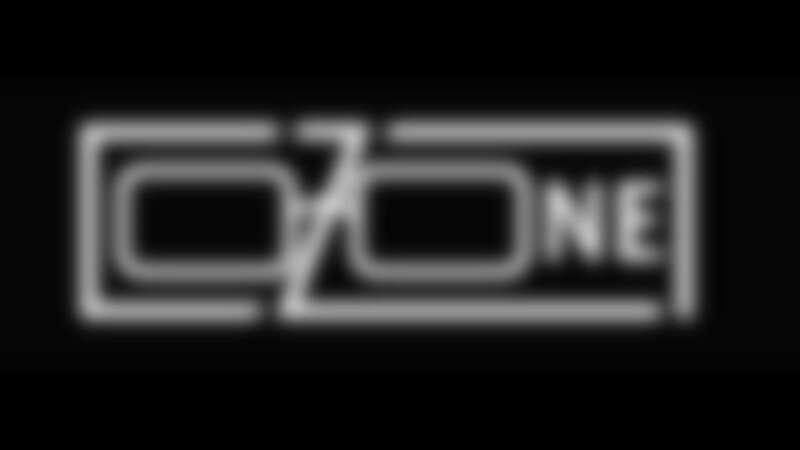 Our beloved O-Zone has gone from a free, treasured, dependable morning retreat to a proctological nuisance. NSA reading our e-mails and listening to our obscene phone calls our computers spying on us and now the NFL takes over our O-Zone. I guess it was inevitable as you and the staff had taken it to the edge of perfection. That could not be allowed, so the NFL was forced to step in and start screwing things up. I guess it's true that just because you’re paranoid it doesn't mean they are not out to get you. You know this whole over-the-top approach to safety is getting ludicrous. I mean why not have boxing where they use pillows instead of gloves? It's FOOTBALL for goodness sake!!!! Rugby, soccer and other team contact sports don't get this crazy over this safety issue. There needs to be a stand by the NFL where they just tell the players, "Look, it's a violent game … you don't want to get hurt? Don't play." Ten years from now it's going to the NFFL: National Flag Football league. Instead of a shield their symbol will be bubble wrap and feathers. You’re not alone in your feelings on this issue, and there’s no question the league is wrestling with finding a balance between violence and safety. I don’t know that anyone knows the end game on this one. My sense is it’s going to be a long road in the coming decade with a lot of stops and starts as the league tests safety measures to see if they work and to see if they realistically can be implemented into a game that is inherently violent – and that is played at a speed that makes it difficult if not impossible to eliminate all violence. I anticipate that in the next few seasons we’re going to see measures continually tried, with some working and being implemented permanently – and with some being retooled and perhaps eliminated in time. Still, while I agree that you can’t get all violence out of the game, I also believe it would be irresponsible for the keepers of the game to not at least try to make the game safer. O-Man: With Myles Jack moving to the middle, do you believe the Jags will be better covering mobile quarterback? Specifically, Marcus Mariota and Deshaun Watson. It can’t hurt, though the Jaguars weren’t bad at this last season. And remember: Jack was on the field in the middle in nickel situations last season, so on a huge number of passing plays he and Telvin Smith were the linebackers. And yes: the speed of those players helps defend mobile quarterbacks. “NFL rules will now treat head-first dives like feet-first slides.” So Fournette diving over the pile for a touchdown or a player leaping towards the end zone while being chased by a defender are now down where they started their leap? Please tell me I’m reading the rule wrong. This isn’t football, John! The NFL is legislating football out of their own league. This is gross, and it’s only getting worse. My interpretation of this when it was discussed in the meeting between Jaguars media and NFL officials this past week was that the runner would be marked down at the spot of the ball when he was ruled to be down – and that the runner/quarterback would have to be deemed as “giving himself up.” If the rule takes away the ability for ballcarriers to dive for the end zone, it’s a bad rule. If it protects a defenseless runner from being hit unnecessarily, it’s a good rule. I suspect the reality will be far more the latter. It’s been a while since we’ve heard about Andy Jones. Where he’s sitting on the depth chart right now and is he still in the plans for the future considering his salary? Can you even imagine what Coach Maroon would do if he had Fonte Moncrief and Soggy Hood on the same rooster? I imagine he might put Soggy on the practice squad to try to make room for Andy Jones. There’s a long way to go in that battle, but if you have a talent like Jones in your building, you get that talent on the field however you can. Sooooooo glad football season is back. My question is about tight end. How is that shaking out so far? Haven't heard much about Niles Paul. Is he hurt? Or is it going to be more committee based, with Ben Koyack on first down, then ASJ or Paul on passing downs? Tight end is going to have a committee feel once you get past Seferian-Jenkins. Niles Paul looks like he will be able to contribute in spots as a receiver. James O’Shaughnessy also has had moments as a receiver in training camp. I expect you’ll see Seferian-Jenkins on most downs with Koyack playing with Seferian-Jenkins in a lot of two-tight end sets and Paul/O’Shaughnessy also playing in some different two-tight end looks. Please let Bruce from Surf City (that name sounds a bit pithy to me, by the way) know that the Taj Majal (purposely misspelled I assume) is a new breakfast joint/deli here in Fernandina Beach. Evidently, the Taj Majal is named after a famous surf move Gene Frenette once pulled off at the Jax Beach Pier. There's a picture of him doing the Taj right by the kitchen, and it's SICK!